I have nothing but wonderful things to say about the staff at Playground King! They were knowledgeable and very patient with me. The quality of the playset we bought is great! 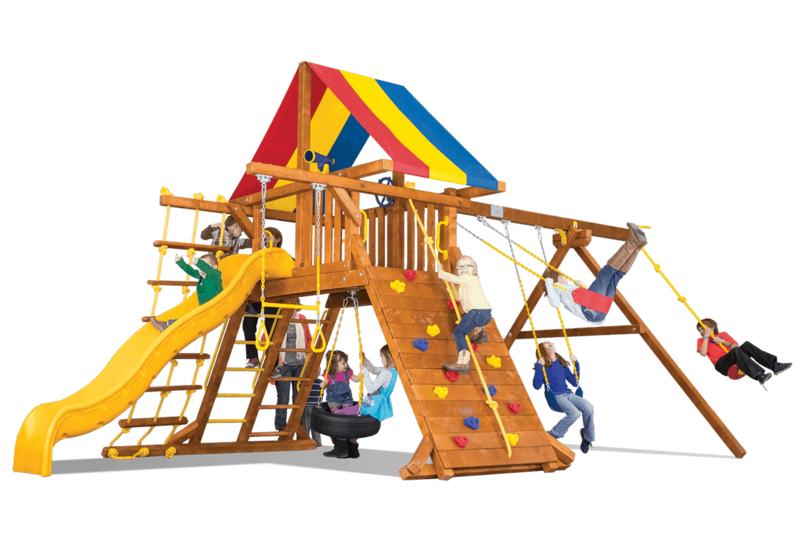 If you are looking for a Playset, I would highly recommend them!! I have a 5 year old and a 2 year old and they play on our playset everyday and it was the best thing we ever bought! I want everyone to know that Nicole is one of the most polite individuals that I have ever had the pleasure to speak with. I was compelled to call back and let her know. Our whole experience has been excellent. Their staff could not have been more helpful - they gave us suggestions as to how we could please all three children. The installation went very smoothly - and now we are thoroughly enjoying watching our boys play, climb and ahve a lot of fun on our Playset & Trampoline!